Superb American ca. 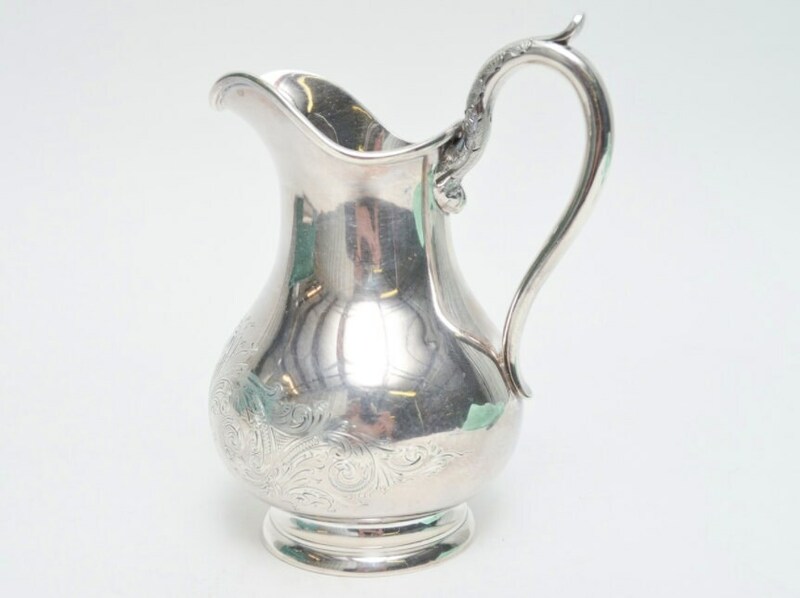 1850 solid coin silver cream jug made in Boston, Mass. 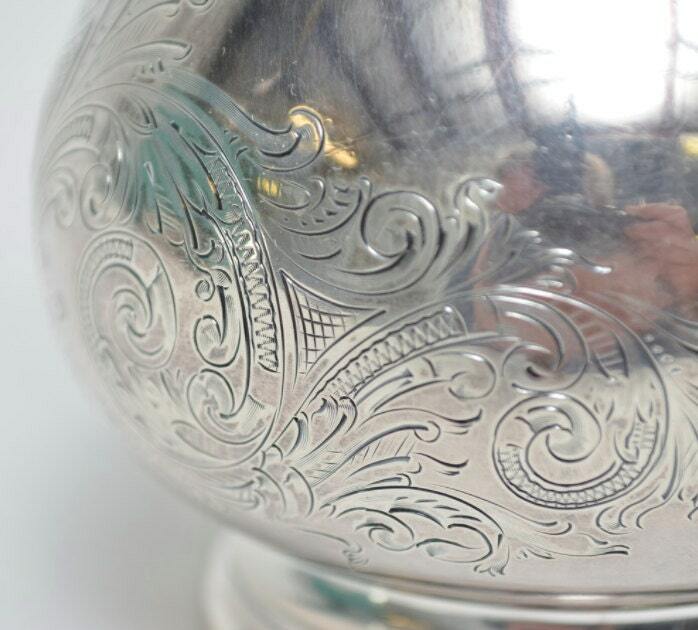 The pinnacle of 19th century Boston silversmithing with rich hand chased embellishments. Fully and crisply hallmarked for 'N. 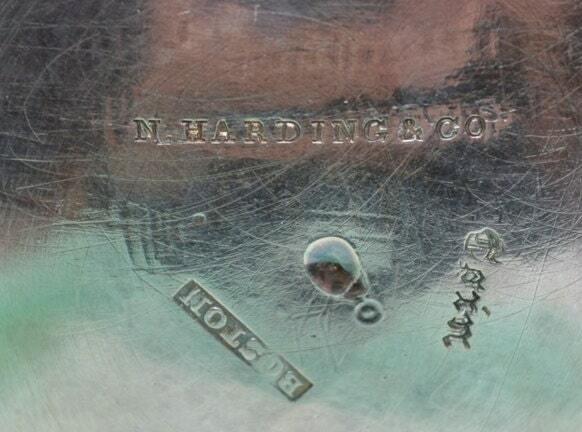 Harding & Co.', 'Boston', and 'Pure Coin'. Condition is excellent with minor overall wear from use. No noticeable damage (small rattle notes from inside a foot). Dimensions are: 4” x 4” x 8”. Weight: 320 grams. 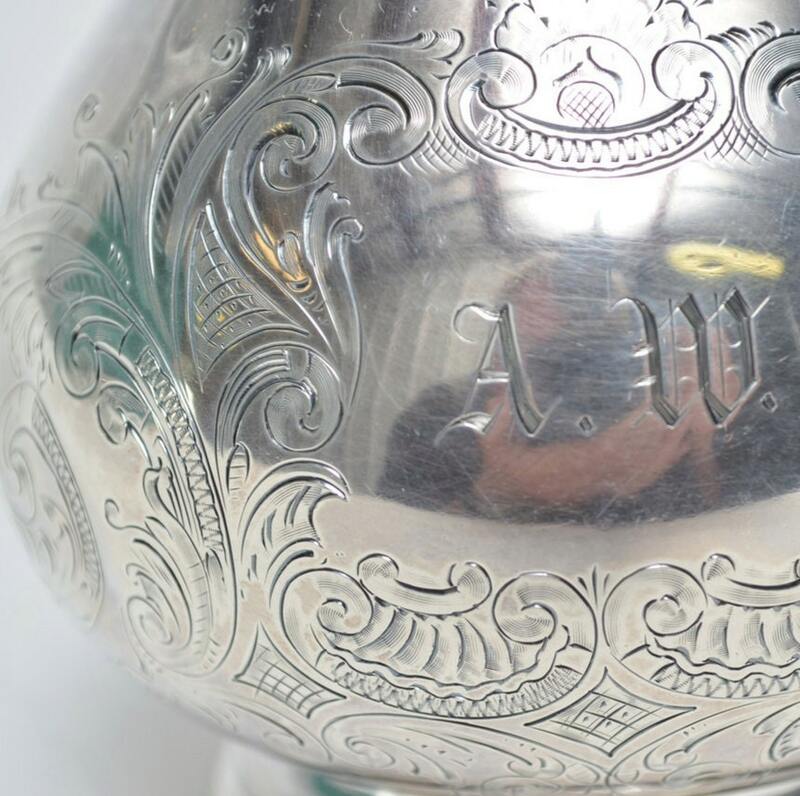 Elegantly monogrammed 'AW'. Item is not weighted.